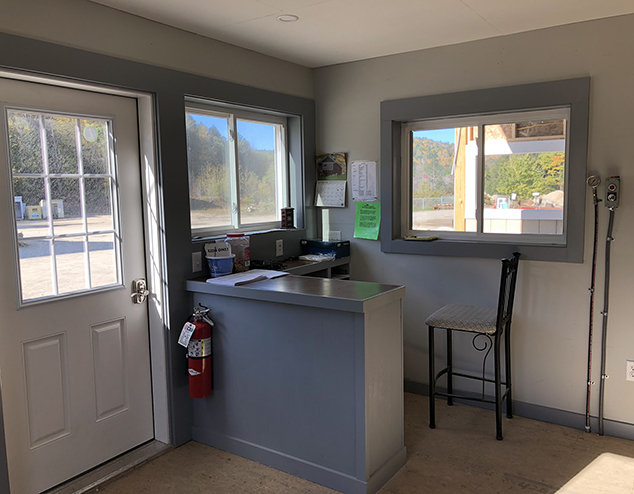 Most of the new construction and landscaping work at the Andover Transfer Station has been completed according to station operator, Jim Reed. This photo shows the new compactor building with landscaping done by Dan Merzi Excavating. 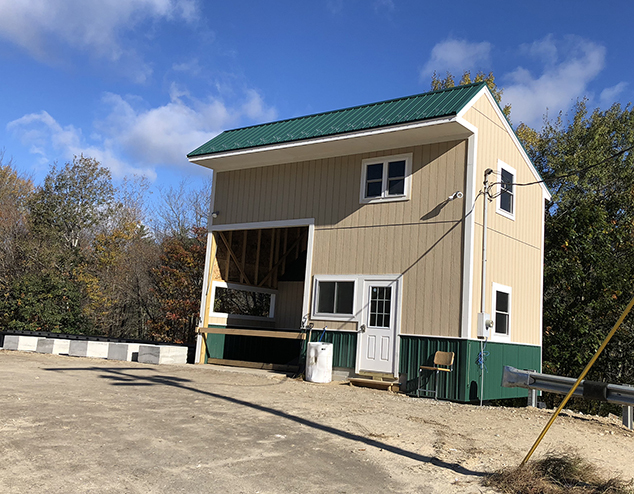 The new compactor building was erected by Stephen Barton and Sons Construction. The new building includes a break room and restroom. 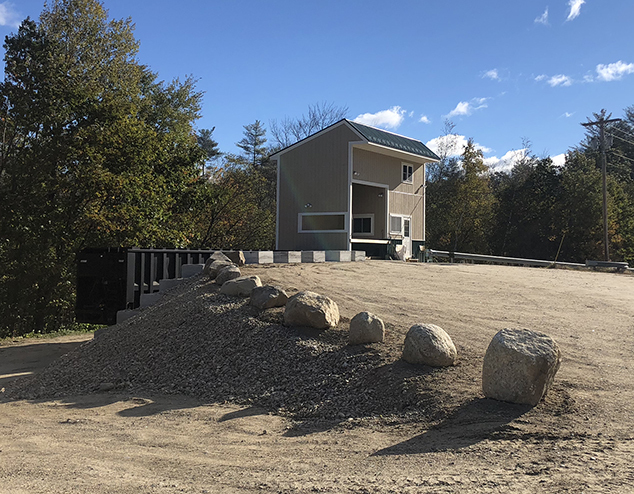 To help alleviate the rodent problem, the Andover Highway Department under the direction of John Thompson installed large concrete blocks and stone on the hillside to the left of the building. They also built up the area to help with traffic flow at busy times. 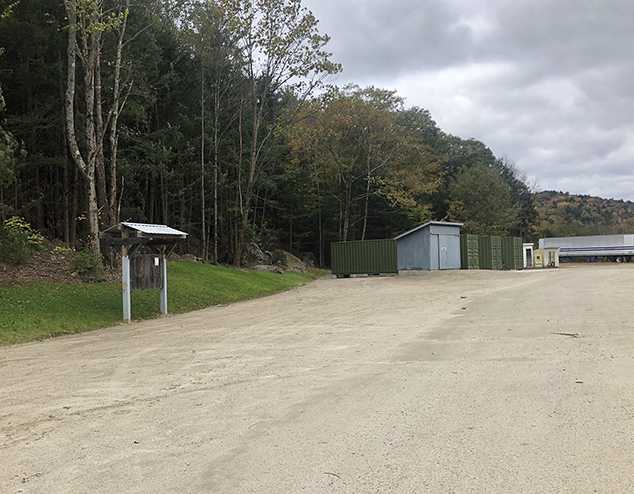 Containers have been put in place for the bales that will be created with cardboard, plastics and aluminum cans when the new recycling program begins. Separated recyclables will be accepted beginning October 31. Interior of the new compactor building.